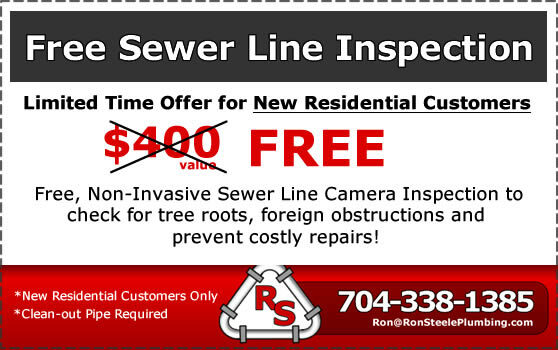 Ron Steele Plumbing has recently purchased a new sewer line inspection camera and we have a great deal for you! For a limited time, we are offering a FREE Sewer Line Camera Inspection for New Residential Customers. 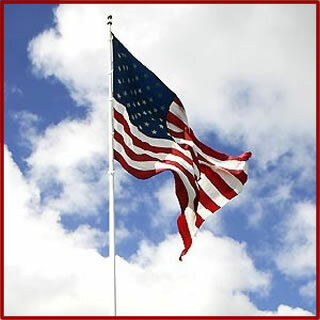 This inspection technology is non-invasive, which means there will be no damage to your yard, driveway or parking lot. By using this technology we can check for any obstructions that could potentially cause major sewer repairs. Let us take the hassle out of sewer line problems with a FREE Sewer Line Inspection today. Give Ron Steele Plumbing a call at 704-338-1385 and mention this coupon. We’ll be glad to come out and check out your sewer lines!